Saturday, March 9, 2019, at the Ken Krum Center in Schoolcraft, MI. "Fish Jeopardy" led by Dave Hemmerlein. Winners will earn "Fish Bucks" that can be used as credit at the next auction. Victorian Cichlids: Are they all really evil red fish? Justin Sarns has been keeping fish for 20 years. From the first 5 gallon aquarium to his current fish room, he has always been fascinated by aquatic life. Justin specializes in mouthbrooding cichlids from the east african rift lakes, with a particular interest in Victorian Haplochromines. He is an active member of the Grand Valley Aquarium Club where he has served on the board, and is currently president. Outside of the aquarium hobby, Justin is a band director, and enjoys cooking, playing saxophone, and anything in or on the water. Members only Party was great fun. fish. and food. and friends. “Endless Raffle” for $5.00 ticket, you get to draw as many times as prizes hold out. We have over 20 major prizes which include hood/lights, LED lights, power filters, canisters filters, hermit crab setup, and submersible heaters. We have twenty five stuff grab bags for the raffle too!!!! A meal will be provided at the Crew Family Restaurant, and a silent auction of many unusual fish, shrimp, and aquatic plants will be featured. Members will be bringing fish, etc.. for the regular auction with 100 percent return on their sales. Discussion about members' experiences with summer tubbing; successes, failures, ways to trouble-shoot problems. Right now I am looking for folks to volunteer to bring various live foods to share with other members. What can you bring? What sort of container will be needed to take the starter home? Do we need soil, liquids, etc.. in other words what does it take to put your live food together and maintain it. Once we know- the club will decide what we can purchase and provide from the club and what you as an individual will have to bring. Please let me know as soon as possible if you can provide a live food and what all it takes to manage it. Once we have a list we can begin planning from there and making adjustments. DJ Hemmerlein will be our speaker. "It will be about why you should pick livebearers, how I got into them, how I care for them and a profile on some of my favorite species". Panel discussion about caring for and breeding livebearers. at the Crowne Plaza Grand Rapids Airport, 5700 28th St. SE, Grand Rapids, MI. 49549. Ron McNeil is the speaker for the April 6th meeting. His topic is "Lake Malawi Cichlids". Mike Monje, Beautiful Barbs & Unusual Cyprinids, March 2nd SWMAS Membership Meeting. February 2018 Ben Slocum will be the speaker for our February 2nd SWMAS Membership Meeting. January 2018 We will start off the new year with a review and discussion of the various club programs and yearly events. - DJ Hemmerlein - the chair of the Breeders Award Program (BAP) will discuss the entire program and how it works. In addition DJ will present some changes he would like to make to the BAP rules. A vote by the membership is forthcoming of the proposed rule changes. - Bob Dempsey- the chair for the Horticulture Awards Program (HAP) will discuss the whole program and how it works. - Chase- the chair for the Fry Raising Program and Contests will discuss how this program is conducted and how you can participate. - Dave Hemmerlein- will discuss the SWMAS club fish, plant and dry goods auctions. He will identify what actions are required to make this happen and why club member participation at the auctions is so important. - Bob Dempsey will do a 10 minute program on live foods. A review of all our programs won’t only benefit the new members but will benefit all. Silent Auction. Food and drinks provided. Everyone is requested to bring a tool, invention, or idea which helps them be more efficient or effective in their fishroom to share with others. Fry-raising for the Bluenose Shiner are due this month. David Ramsey - "Got the Love of Catfish"
display of new and used books for sale. Ken Krum Center, E Clay St, Schoolcraft, MI 49087.Sept. One-time at CC's. Chase will talk about Tetras. fish department. Currently, she works for the University of Michigan as a fishroom tech for a zebra danio lab. Barbus hulstaerti. Also included in this talk will be some insights into the classic model organism/research animal "Brachydanio rerio" in the laboratory setting. July - No SWMAS meeting. The presentation will be on the sociological, and ecological impacts on lake Victoria and the regions surrounding following the introduction of Nile perch into Lake Victoria. I will talk about the history of the region and the events that resulted in the introduction. Along with, some tips on keeping the fish, and talking about some interesting things about the fish from the lake. March 2016 - The program will be Ron McNeil talking about Lake Tanganyikan fishes.Ron is very knowledgeable in that area and it should be very interesting. Spring Auction is March 11, 2017. Flyer. January 6, 2017 Meeting - talk and discussion about Killiefish. Dave Hemmerlein will lead this. Chase lead species discussions on two fish he has bred recently: the Black striped Dwarf Cichlid (Taeniacara candidi) and Silver Dollar (Metynnis argenteus). Bring along any ideas you might have on these fish. SWMAS & PET SUPPLIES PLUS (PSP) BATTLE CREEK - JOINT AQUATIC EVENT! Learn the basics of AQUASCAPING. The program will be a new Power Point presentation by Chase on "Small Tanks". For the last 30 years, he has kept and bred fish in around 20 small tanks from 1 to 3 gallons in his fishroom. Maintaining small tanks can be a real challenge, and tips will be presented on how that could be done. 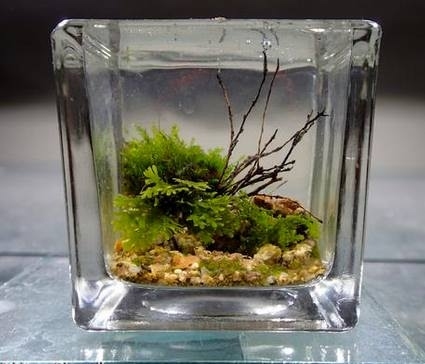 More information and some plants will be available to pick up for our Nano Tank aquascape contest scheduled for September 24 in Battle Creek. This evening's presentation/workshop will be on Popular Aquascaping Styles. June 2016 Annual Night Out!!! Special meeting - Special Location. Darrell has added a fill-able BAP form. Click here, save to your computer for full functioning. The In and Around of Ponds. Mike is from GVAC and will speak on pond and waterfall maintenance, design, and installation. In addition, he will address problem / control of algae and weeds. Mike has over 20 years of water gardening knowledge and experience. His business is a a fully stocked water gardening center with many varieties of hardy and tropical water lilies, bog and marginal plants, premium koi, goldfish, and fish food. Contact him for expert pond and waterfall maintenance, design, and installation! He consults and treats for weed and algae control of your natural/dirt bottom pond. Advocate for aquariums appreciated as art. Ben is the owner of the Water Colors Aquarium Gallery. He started keeping fish when he was 8. It was not until he saw a picture of Psuedepiplatys annulatus, the Clown Killi, that the hobby became an obsession. He is a fellow of the Grand Valley Aquarium Club in Grand Rapids Michigan and holds top honors in the Horticulturist Award Program. My name is Chris Carpenter, I'm a board member of the Grand Valley Aquarium Club. I got serious about the aquarium hobby 10 years ago. I keep many different types of freshwater fish and dabble in saltwater as well. My main interest lies with the cichlids from Lake Tanganyika and even more specifically with the very interesting and small Shelldwellers that live in the lake. I've kept and bred many of these fish and would like to share my experiences. One of the biggest challenges for me in breeding and raising tropical fish over the years has been keeping alive tiny fry that are too small to eat newly hatched brine shrimp. I will present a Power Point program that will describe many species in that category and list several types of foods that tiny fry will feed on, as well as how to produce those foods. Our yearly Christmas Party is fast approaching and rumor has it that Santa will be bringing some unusual fish and plants for our silent auction. All members are asked to bring some goodies to share and it doesn’t have to be cookies/pastries- it can be relish dishes, dips, etc. "Bowl Beautiful". You can feature any fish, shrimp, etc.. you prefer. The idea is to create the most beautiful presentation you can come up with. Ron started up the monthly bowl show this year, and unfortunately there has not been much participation. We are hoping this "Bowl Beautiful" Bowl Show will bring all members to use their creativity and and make this a huge success. It will be great fun to see what each member comes up with. Since their are no limitations of what livestock you can feature such as fish, shrimp, etc. their should be no problem bringing an entry to this event. Put your thinking cap on and join the fun! Charley Grimes added to speaker list. There will be no Friday meeting, but the Workshop will be held Saturday in Schoolcraft, MI where there will be speakers all day and an evening pizza party with a talk by Eric Bodrock on spawning oddball scavengers. Other talks include Charlie Grimes on "Native Fish", Eric Bodrock on "Cory Breeding Made Easy", and Regina Spotti on "Rasboras and Tertas My Way". Sunday at the same venue will be our fall fish and supplies auction. Originally started in the hobby as a teenager in the late 70's, but had to walk away for military service. Re-entered the hobby in 2008. A member of MAS, SWMAS, and the ALA. Recently achieved the Master Level breeder award from the ALA. I have bred over 70 different live bearer species. Presently have 35 aquariums and 12 ponds set up. Buyer and seller of aquatic critters on eBay and Aquabid. Our speaker will be Heather Burke. overview from a young hobbyist's perspective. Started at the April meeting. Fish should be returned at the August meeting. The winner’s prize is $30 after writing an article explaining how you raised the fish. Our speaker will be Doug Sweet, the superintendent of the London State Fish Hatchery of the Ohio Division of Wildlife. Doug's talk is titled, “Spawning Anguilliform (Eel shaped) Loaches….or Not” about Doug’s personal 40 year quest for their spawning triggers. It is all about eel shaped loaches, spawning them with and without hormone injections. Doug will also cover some systematics, range, and environmental conditions in the wild, and also the Frank Kirschbaum methods for spawning difficult rainforest species. 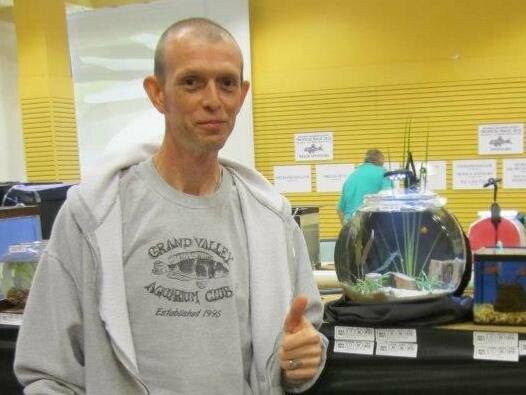 Bio: Stephen McDonald, Western Michigan University graduate and licensed social worker, began in the hobby as a broke college student who couldn’t have pets in his apartment but a fish tank was ok. After seeing angelfish breed in the community tank, his now 30+ year journey keeping and breeding fish began. He is a 20+ year member, Master Breeder, and frequent board member in the Kalamazoo, Michigan-based Southwest Michigan Aquarium Society. He is also one of a handful of founding members and Master Breeder helping to start the Grand Rapids, Michigan-based Grand Valley Aquarium Club. 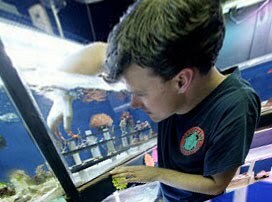 He maintains a fish room of approximately 30 tanks of various sizes and many different types of fish, crustaceans, and live foods. Steve has been married for 36 years, is the grandfather of 4, and thankful for a family who tolerates and accepts the hobby (obsession or addiction as they might call it). FISH JEOPARDY, Hosted by none other than our own Dave Hemmerlein! 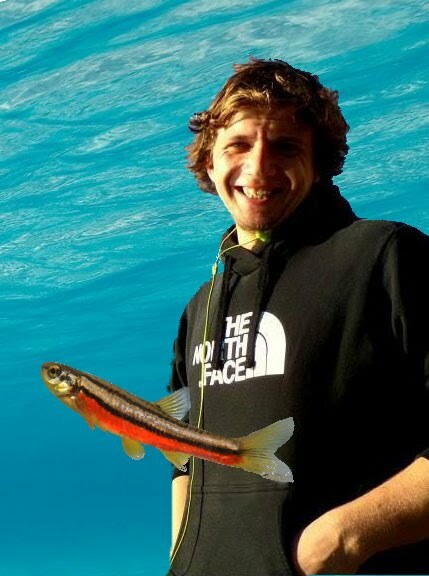 BIO- Besides being married to a hot wife and having a dog that is named after a beer, I keep fish. I have been into fish for the past thirty five years and have been married thirty five years so I am not sure if the fish came first or the wife but I know which one I love more......it's you honey. I maintain some tanks but I can't remember how many tanks I have but most of them are full of fish but I don't have any more room for any more tanks. I maintain many different types of fish and love them all but if I had to my favorite type of fish, then Killies, and I especially like native killies. In addition to keeping fish, I love to go collecting, and keeping them in my tanks and maintaining and spawning them. I have been collecting in many places in the United States and outside the United States, and thoroughly enjoyed it. Hope to see you at the meeting and remember that the prizes will be the famous "Nemo dollars" to spend. I am Leslie James and I am currently addicted to angelfish. I currently work as a Paramedic in Nashville, I am also a full time Networking Technology student at Davenport University. My other hobbies include fishing, hunting and camping. My fish addiction started back when I was a toddler and my nightlight was a 10 gallon tank kept by my dad. Before I had moved to Hastings, my tank brought on the worst nightmare around, the pump seized, melted through the casing and caught the table the tank was sitting on, on fire. I pretty much vowed I would never have a tank again due to the risk of fire. But I missed the soothing sounds of a tank. After my husband and I had gotten married, I think he grew tired of me saying every now and then that I missed having a fish tank. He bought a tank for me for Christmas in 2008 for me. A simple 20 tall that I had later stocked with smaller fish such as guppies, swords and Praecox Rainbows. When the rainbows started breeding, I became very interested if I couldnt get something going with my favorite kind of tank fish, the Angelfish. In the past I had never had luck keeping fish from the big box stores, after some research, I found a whole new world on the education of Angels. I then graduated to my 60 gallon show tank when I rescued my first breeding pair of Black Blushing angelfish from a local store. With this, I had no clue how important cycling a tank was. And since then I have certainly had my ups and downs in fish keeping. I am now keeping and breeding the rarer color of angelfish, the Philippine Blue Half black along with the Pinoy Paraiba. The highest of my two favorite colors, though I love them all. Currently I am running 60 gallon show tank and 16 varying sizes of breeding and grow out tanks. I joined The Angelfish Society in 2010, and since I have worked my way up to being the treasurer and the chairman of the Standards committee. I had also helped with verifying names and gene combinations with the new Genetic Calculator we are going to be offering to our members very soon. The topic that I will be discussing is Angelfish breeding, it really isn’t as hard as you may think it may be. I am also willing to dabble a bit into the genetic behind what breeding can bring out. This is an honor to be speaking to you, so do not be afraid to throw your questions out. I like to keep my engagements like a discussion floor more than a lecture. I am looking forward to joining SWMAS as not only as a speaker but as a member as well. The auction/raffle should be exciting at this meeting- as there will be exotic and rare fish being brought in for the auction/raffle. Jimmy Johns will cater the food however members are asked to bring snacks and desserts. There's no club split on the mini auction so it's a great time to bring in your nicer fish since you keep all the proceeds. Greg Potter will be speaking about how streams work, as well as local conservation and rehabilitation efforts. Greg is the owner of the Growing Point Pet Center in Battle Creek and an avid fisherman. He is very active in supporting school and science efforts in Battle Creek. He is also very active in Trout Unlimited, Boy Scouts of America, Marshall Area Conservation Committee and Battle Creek Clean Water Partners. 5:15 to 6:30 Pizza party and social time free to all participating. See what Darrell can do. Click the picture to open this gif and start the animation in a new tab. And Fry-raising Flagfish are due for judging. No Meeting in July 2014. Workshop for those who already pre-ordered parts. Note: Everyone left with working lights! The June SWMAS program will be Matt Bielski holding a light building workshop at the meeting. If you would like to get higher output or custom-made lights already made up and pre-built by Matt, e-mail Matt directly at ski82566@aol.com. The lights would have 4 rows of LEDs, higher capacity power supply, and be completely sealed off. Matt estimates the cost of pre-built lights to be $1.25 to $1.50 per inch. Bob Dempsey, the current HAP (Horticulture Awards Program) Chair will present two programs at the membership meeting on April 4th. The short program will summarize the results of our members' participation in the Ludwigia Repens plant growing exercise and results. Three participation awards will be presented to Kristi Potts, Cathy McNeil and Bob Wesolowski. The main program is titled "Introduction To Fertilizers For The Planted Tank, Fertilizer Options and Identifying Plant Deficiencies". Bob will also be looking for membership volunteers to test some various fertilizers that were donated by Seachem. Bob is a member of the Aquatic Gardeners Association. Each member attending the April meeting will be eligible to win a 40 gallon breeder aquarium with glass tops. The aquarium comes with a Hamburger Mattenfilter donated by Stephan Tanner of Swiss Tropicals. You must be a member to win and you must be present to win. If you join SWMAS at the meeting or renew your membership at the meeting, you will be eligible for the door prize. Scott Tetzlaff, Vice Chairman of the American Livebearers Association (ALA) Board of Directors and a past President of the Southwestern Michigan Aquarium Society (SWMAS), will be speaking on “Livebearers I have Known”. Scott has over 40 years in the hobby, operates 300 plus tanks in his fish house and he has spawned more than 400 species of fish. Orange Lyretail, Aphyosemion australe. Chase. All the Workshop talks on Saturday were excellent and attendees were commenting on how much they learned from the speakers, so I wanted to share what I learned from attending. Many thanks to Dave Hemmerlein for organizing this workshop, the speakers for their talks, and everyone who attended and helped to make it a success. Remember to become active and support SWMAS so we can have more programs like this in the future! The following write-ups are only my interpretation of the contents of each seminar and may not reflect their total message or intent. Matt started by talking about how to design a high-tech fishroom. He emphasized that the goal is to design a fishroom that utilizes new developments to make less work of taking care of our fish. Planning comes first. Determine how many tanks you want, walkways, and access. In building racks for tanks, he recommended leaving some space behind them for wiring and plumbing for air and water. Putting them together with screws instead of nails can be important when you want to make changes in your racks later. To make the racks stronger, he screws pieces of plywood on the ends and attaches them to the wall with braces so they can’t be pulled over. For appearance, he uses some plywood and paints the front. Matt is a construction engineer by trade and had some very good pointers on how to wire and plumb a fishroom and tanks. Timed lighting and automatic centralized water changing were discussed and can save much time. He also mentioned a ventilation system that can remove excess humidity found in most fishrooms. Do not go over 50% humidity. Excess humidity can result in mold, wall destruction, allergies, and even infections. Plan for a sink and workplace area in the fishroom for better access and efficiency. He stores his water in barrels and uses pumps to move it around. When making RO water for softwater fish, he saves his wastewater, which is very hard, for his African cichlids. The temperature of the stored water is not a problem because his automatic system adds it slowly to his tanks. He uses softened water to run through the RO unit so the membrane lasts much longer. Make sure that your drainage pipes in the fishroom all tilt lower at least ¼ inch per foot to prevent bad smells from standing water. Matt recommends GFI breakers for all fishroom outlets. He recommended T-5 bulbs as the best for plant growing, although LED lights are more energy efficient and will grow some plants well. For air systems, he likes linear pumps and recommends loops in the airlines to assure even pressure on all outlets. Matt has helped several others design their fishrooms. Many thanks to Matt for this valuable information! Stephan started out emphasizing the seriousness of habitat destruction occurring in South America, especially the Xingu River/dam project where many rare plecos come from. He is one of the few aquarists that have kept and bred the Zebra Plecos and stressed that, without captive breeding of several species, they may disappear. The Rio Xingu Dam will be the 3rd largest in the world, displacing 20,000 people and cutting off a long section of the river where Zebra Plecos are from. He also mentioned that many countries are getting more strict in allowing fish to be collected and exported, a warning to hobbyists to breed more fish or they may not be available. With deepwater plecos from the Xingu, water quality is most important, not pH or hardness. The Xingu River is 85-92 degrees all year, very clean, high dissolved oxygen, and virtually no nitrate. Food is very important for the health of plecos, and Steffan classifys them into 4 groups: carnivores, omnivores, grazers, and herbivores. Carnivores have larger teeth (e.g. whiptails) and they eat worms, insects, and snails. Omnivores eat different types of foods and are easier to feed and breed. The grazers are the most difficult to feed (e.g. Magnum Plecos and Golden Nuggets). They feed almost constantly and need high quality, low-calorie foods such as algae, leaf matter, detritus, green peas, zucchini, squash, and small insects. They cannot handle high protein flake foods or other meats. Sturisoma and Otocinclus are in this group and have a reputation of being difficult to keep alive. Too much meaty or rich foods for them, including brine shrimp, and they become bloated and die. The last group, herbivores, eat plants and wood. Royal Plecos and Clown Plecos are in this last group. They have larger teeth that shred the wood. Their gut contains special bacteria that will process cellulose. Usually wild caught plecos are treated with antibiotics. This can destroy those beneficial bacteria so the pleco will not be able to digest its’ food and will waste away and die. Any wild- caught plecos that have a caved-in belly are suspected. Some trees’ wood and leaves can be toxic. Stephan mentioned that birch, beech, oak, linden, and alder might be the safest to use for plecos. Mysis shrimp can be a good food for plecos because the shells help in digestion. Blood worms, however, sometimes harbor mycobacteria and can cause TB in fish, so he does not feed them. For prepared foods, he likes kelp, spiralina, and cyclopeze. He likes the pellet or wafer form of foods and feels that you get more value for your money with them over flake. Stay away from blood meal, bone meal, and meats in prepared foods. Starch and fats in foods can be undigestible and become rancid quickly. The “snub-nose syndrome” that can develop in plecos is not from genetics, but poor foods. Sexing different plecos can involve body size, tentacles, colors, head shape and size, fin shape and size, and shape of the lips. A proper breeding setup for plecos allows them to feel safe, and they especially like secure ceramic caves to breed in with low light conditions. Slate and wood can help. Find out that species natural habitat conditions to provide a better environment. If you feed plecos properly, they likely will not eat their eggs. There are about 150 species of Corydoras catfish, including Brochis, Aspidoras, and Scleromystax. They come from varied river habitats and conditions, and Vern gave an excellent overview of this group of fishes. He has bred many species in this group, including some very difficult ones. Breeding setups for them often can be normal lighting, many plants (he especially likes to use anubias), spawning mops (floating and sinking), soft water, and a sponge filter. For darkwater species he adds leaves or peat extract and reduces the light by covering 3 sides of the tank with black plastic. Sometimes a powerhead will provide current to stimulate spawning. Corys will lay their eggs in the warmer, darker areas of the aquarium and the eggs of all corys and newly hatched fry are very sensitive to light, so keep them dark. Poor hatch rates occur often when the eggs are exposed to light. Look for the eggs, as they may be hidden or scattered around the aquarium, depending on species. Vern prepares corys for breeding by “resting” them for several weeks with cooler water, less food (no live food), and few water changes. When he is ready to breed them, he warms the water, feeds massive amounts of black worms, and does several large water changes. Other spawning triggers to try include increased aeration, other live foods and frozen brine shrimp, adding oak leaves, and increasing day length. He picks the eggs off the glass with a razor, and from the plants and mops, and places them in RO water in a container with methylene blue, aeration, and in a dark location. He changes water daily and picks out the infertile eggs with an eyedropper, but doesn’t add more methylene blue. The eggs and fry are sensitive to cold water, so keep the temperature constant. The eggs hatch in 2-5 days and snails and Java Moss can be added after they hatch to help clean up. 2 days after hatching the fry will begin to eat and microworms are good to start with, soon following with newly hatched brine shrimp. When feeding the fry in a small container, he feeds and does water changes 2-3 times a day and culls dead or malformed fry with an eyedropper. Right away he begins to slowly acclimate the fry to tap water by adding 1/6 tap water to the RO water with the first water change, increasing the percentage with each water change. The water should be only 2-4 inches deep to begin with, and slowly increased in depth as they are moved to larger aquaria. The fry like to hide under the sponge filter and may get trapped, so use stones or marbles to elevate it. The fry at first do well on just baby brine shrimp, but later it is best to feed a variety of foods, including frozen brine shrimp and fine flake foods. Vern feels that adult corys can be “spoiled” by feeding blackworms too much and too often, and they will not lay many eggs if fed them constantly. This was the first time this program had been presented and it was excellent. Stephan talked about the two major types of filtration: mechanical and biologic. Mechanical filtration removes solid particles with nets, floss, and screens. It is the biological filtration that is the most important because it breaks down harmful substances that are soluble such as ammonia, urea, and carbon dioxide. Established bacterial films in the filter and on the plants and aquarium sides are where these bacterial films exist, but it takes time (around 2 weeks or more) for them to establish and become functional. The largest surface area supporting these bacteria films is usually in the filter, whether it is floss, sponge, bio-balls, or other medium. Charcoal can chemically remove some of the soluble substances, but soon is exhausted and is just another surface for the bacteria to establish a biologic film. Filter medium efficiency depends on several factors including: volume, weight, compression (how much it mashes down), surface area, flow rate, material longevity, time between cleanings, and long term cost. Stephan then went on to describe several materials used today. Floss can quickly mash down and not be as effective. Bio-balls are OK but don’t have a lot of surface area for the bacterial films. Closed cell polyester foam is cheap, but clogs easily and has a short life. Reticulated polyester foam has a large surface area and is easy to clean but has a short life. Most foam used in furniture has toxins added and is not recommended for use with fish. Stephan recommends using reticulated polyether foam (Poret) because it lasts a long time, has a large surface area, and is light and easy to clean. It is a proven material that is used for foam filters that he sells. It is a fairly rigid foam material that comes in several different pores-per-inch sizes, with the smallest pore size having the most surface area, but needing cleaning a little more frequently. He demonstrated several new ways to use this foam, including sheets of it that use a section of the tank as the filter. This material has very little restriction of water flow, even with the smallest pores. He advocates cleaning these filters only once every 12-18 months, which is considerably longer than with most filters. Cleaning is simple also because of the free water flow. Just rinse them under the hose outside. It is best not to squeeze these filters to clean them, since that breaks down the material faster. Also, you don’t want to remove the bacterial film on the foam surfaces, just dislodge the solids trapped therein. Don’t combine water changes and filter cleaning the same day or you may lose fish due to the stress. A neutral pH and temperature of 70-85 degrees is best for bacterial cell growth in foam filters. Cell growth takes several days and cycling a tank can take several weeks. Bacterial films in filters are very sensitive to medications used on fish, so be cautious and use them sparingly. Rusty is extremely knowledgeable on Central American cichlids. He has been on 150 collecting trips and has a 1700 square foot fish room. He took us on a trip to southern Mexico and Guatemala, including the Yucatan Peninsula. Several locations and fishes collected were shown in his program. The most amazing scenes were the underwater videos of various cichlids showing parental care of their fry in their natural habitat. Rustys’ favorite group of fishes is the South American cichlids because they have such interesting parental care. He advocates not mixing fish of the same species from different locations, and to keep track of their location of origin whenever possible. As an example, he showed pictures of a population of Cichlasoma salvini from Rio Candelaria that were vividly colorful, with both the male and female having bright red on the lower half of their body and bright yellow on the top half. Maintaining these as distinct populations is important for the future of the hobby, as there are many locations threatened in the wild. He showed pictures of Rio Chacamax where plecos were introduced as a food fish and they covered the bottom of the river but there were no cichlids present at all. Also shown was a location where Brycon guatemalensis (a foot long tetra) were the only fish present. Even the heavy use of cast nets destroyed fish populations in Lake Peten. Rusty donated several bags of fish to the auction on Sunday where a bag of C. Salvini fry (Rio Candelaria) went for over $50.00. Another bag contained a large pair of wild-caught swordtails where the males’ sword was longer than his body! Thanks much, Rusty for the great talk and the fish donations! After the seminars, pizza was brought in for all, and we played a game of “Fish Jepordy” that was borrowed from GVAC and modified for our event. There was lots of fun, with many winning “fish bucks” to apply toward the auction.